What Is Instrumentation & Control Engineering? Instrumentation and control refer to the analysis, measurement, and control of industrial process variables using process control instruments and software tools such as temperature, pressure, flow, and level sensors, analyzers, electrical and mechanical actuators, Human-Machine Interfaces (HMI), Piping and Instrumentation Diagram (P&ID) systems, automated control systems and more. Control engineering is an offshoot of Electrical/Electronic engineering which applies control theory to design, monitor and control a wide range of industrial processes to ensure optimum productivity and theoretically infinite repeatability while maintaining industrial health and safety standards. What Is Process Control Instrumentation? Process control instrumentation focuses on the measurement and control of process variables within an industrial setting using hardware and software tools. Control systems are derived from mathematical models of industrial processes and systems. Control and instrumentation engineers are in charge of managing instrumentation and control systems at industrial facilities. Typically, a control and instrumentation engineers are responsible for designing, developing, and operating control devices and systems within an industrial facility. Why Is Instrumentation and Process Control Essential? 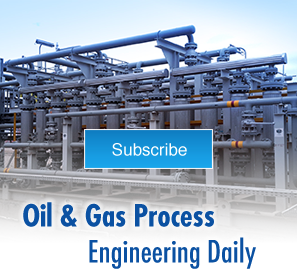 Instrumentation and process control is at the core of all industrial and manufacturing activities. Within a production facility, every process must be carefully monitored and controlled to proceed in a predetermined fashion that is both optimized and safe. For example, temperature monitoring and control systems at petrochemical plants prevent temperatures from rising to critical levels and causing an explosion. Without electric process heater control panels, there could be a loss of human lives and the destruction of assets. Virtually every industry that specializes in repeatable production requires industrial process instrumentation and process control equipment. Depending on the particular industry, there are a plethora of instrumentation and control systems which aid efficiency and productivity of production equipment. Flow monitoring and control equipment monitor, detect and control the level of solids, fluid or gases in tanks, vessels, and compartments using level-detecting sensors that relay the information to a control panel or monitor operated by the control engineer. In response to an undesired flow level, the engineer can activate an electrical or mechanical actuator remotely to adjust the flow rate. Some industrial control pressure devices include Coriolis flow meters, Orifice flow meters, and Turbine flow meters. Pressure control systems detect changes in process pressure and display the measurements in Bar, KPa or other relevant units using the information obtained from pressure sensors. Pressure monitoring and control devices can be mechanical or electrically-operated. They are essential tools which ensure the safety of personnel and assets in industrial operations – particularly in industries that handle pressurized fluids, liquids, and gases. Automated control systems help to manage industrial processes requiring a high degree of accuracy or safety. A control engineer can intermittently monitor automated control processes but does not need to intervene to return the variables to predefined values, as the system is programmed to automatically adjust itself under divergent conditions. Automated controls offer superior reliability for highly-repeatable industrial processes by eliminating the human error factor. However, high-precision equipment must be used to safeguard against catastrophic failure of equipment. IFS offers best-in-class automation and control systems to the Oil & Gas, Power generation, and Air quality industries. Temperature monitoring and control devices detect variations in ambient temperature or temperature within measured environments like compartments, vessels, tanks, pipes, and other equipment. In modern Human-Machine Interfaces or (HMI) or P&ID systems, the control and instrumentation engineer can usually view the temperature readings on a dashboard or monitor and take any necessary actions to adjust one or more process variables or shut down devices or the entire plant to prevent critical equipment failure or fire hazards. SCADA systems are employed in a wide range of industries like power generation, air purification, wastewater treatment, and manufacturing plants to synergize multiple equipment and systems which monitor and collect information about on-going processes at industrial plants. SCADA systems relay information to the control engineer via feedback from sensors and Programmable Logic Controllers (PLCs) and use HMIs for human interfacing and control. If you’re looking for industrial process instrumentation and process control equipment for your organization, Integrated Flow Solutions has the tools you need. Integrated Flow Solutions is a market-leading manufacturer of engineered-to-order industrial skid-mounted process equipment. All our devices and equipment are fabricated to ASME standards and utilize the highest-grade components for superior reliability. With a team of experienced engineers for deployment, servicing, consultation, and 24/7 technical support, you can rest assured of quality service every time. Contact us online today or call 1-281-855-8125.